There is little to none for the 1000d. Syscal did some important first steps, but nothing near a working port. There is nothing yet, no Magic Lantern menu not a single Magic Lantern function etc. Best way to make use of Magic Lantern is to buy another Canon DSLR which is compatible with Magic Lantern. 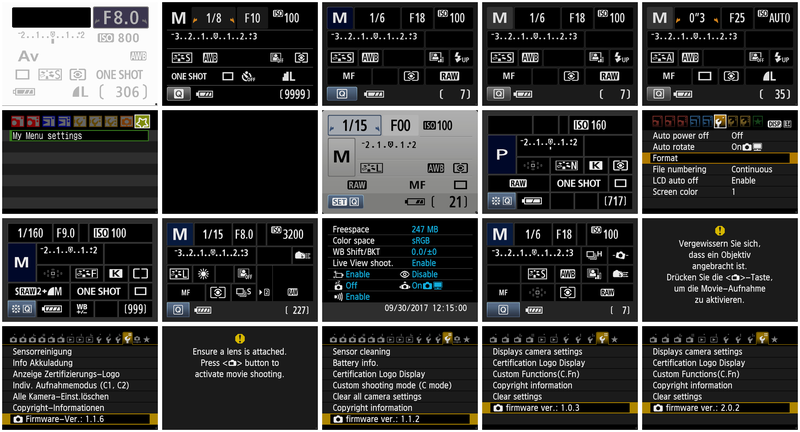 Click the 'Downloads' button at the top of this page and go to the 'Nightly builds' here you can see which camera's are supported. Many of them are released many years ago, second hand they're really affordable. Some are better supported then others (depending on the user base and if active developers support them) I believe the Classic Canon EOS-M is one of the better supported cheap cams. 1000D is such a great backup camera. It's sad to see the development was discontinued halfway.. Sad to see such a nice cam go down in history without anything to it's name. It's 2018, but ML on this camera would still be awesome. @Syscal Any updates on development? It looks like nobody is working on it at the moment. I did in the past but took a break. a1ex still looking on the emulations side I guess. I'm starting to looking into it again, from time to time. I had a look into this a couple of weeks ago, because I could have possibility to get a 1000D at a nearly bargain price which would be fun to play with it and learn how to reverse code. So I found a dump of 1.0.5 to run into Qemu and started to analyze it. Even simple stubs which can be found searchng for strings and then go up a couples of lines, they get hard to track for the function’s entry point. Having a dump of a 40D or 450D syde by side to 1000D could help understanding what to look for stubs and get development at the same point of the other two. This is what I get if I use "0xFF800000" as argument to disassemble.pl. To a quick look it sems to match IDA Disassembly when hunting for loc_xxxxx (the are named sub_xxxx instead). Is code in ROM duplicated also into other smaller range instead of 0xF8000000? Do I need to prefer the second range? What I do is using 40D's dump and stubs address to find what appears to be the same address into 1000D's disassembly, hunting for function starting with same arguments number and similar refs number, near strings or particular instructions. Is this method of code pattern matching valid? How can I use qemu to help me in this stage? Yes, there are multiple copies of the same ROM; g3gg0 explains how it works here. QEMU also prints the memory map, so you can see where these copies are. See the Initial firmware analysis section in the RE guide. There are many QEMU examples in the EOS M2 thread; however, call trace support for VxWorks is not the best (it crashes quicky because it doesn't know how VxWorks performs task switching). I have a draft patch to get the current task ID, but for some reason, that doesn't seem to fix the warnings (maybe task IDs are reused? didn't look too much into it). I noticed that some stubs jump in the middle of a procedure and starts with a push to the stack. Is this correct? Also some stubs form 40d like "malloc" and "free" have a comment stating "not good, points to FreeMemory/AllocateMemory" What need to be done? Solved most missing reference but "LoadCalendarFromRTC" is hard to track and I'm not sure about "QueryTaskByName"
How can I find those RAM address? Looking 40D "cstart" and "bzero32" are not used in stubs.s nor is warning during 1000D compilation. Does it need to be found at this stage or can get a working build to be run into qemu? I need some time to read again M2 thread and look for something to try into emulation. cstart/bzero32 probably not needed (VxWorks model use a different method). Need to do some digging to find the others. When I try to run QEMU, I get only a gray image. I did split the ROM.BIN dump in two equals ROM0.BIN and ROM1.BIN as mentioned in the EOS M2 thread. Try loading it as ROM1, without splitting. Compare the above with the memory map (from QEMU log) and expected size. Btw, if anyone found an old ROM dump of the 1000D Firmware 1.0.5 on the internet and want to test in QEMU, renamed it to ROM1.BIN as mentioned above. It was created the same way a1ex explained. Both firmwares 1.0.5 and 1.0.7 are running in QEMU. PB_Palette - the one maybe I need? How to find ram address for those? I made a quick test defining CONFIG_40D (to solve some minor problems following difference in code for the others cameras running vxworks) and got a compilation without errors but no signs of ML getting loaded in qemu as it doesn't replace firmware version number and it doesn't draw ML Menu. So I expect to find those pieces to be able to print text and draw ML menu.